Former Los Angeles Lakers and Clippers forward Lamar Odom, who was found unconscious at a Nevada brothel, remained hospitalized in Las Vegas Wednesday, with ex-wife Khloe Kardashian at his side, while an investigation continued into allegations of drug use by the former NBA star. Odom, 35, suffered a medical emergency at the Love Ranch in Crystal, Nevada, where an ambulance was sent about 3:15 p.m. Tuesday, according to Nye County Sheriff Sharon Wehrly. Odom was taken to Desert View Hospital in Pahrump, which is about 20 miles south of Crystal, Wehrly said. Odom arrived at the hospital at 4:16 p.m. Tuesday and arrangements were made to airlift him to a hospital in Las Vegas, but that wasn't possible due to the 6-foot, 10-inch man’s size, so he was taken by ground ambulance to Sunrise Hospital, Wehrly said. Wehrly said the sheriff’s office received a 911 call from two people at the brothel. Love Ranch owner Dennis Hof, whose brothel the Bunny Ranch is featured in an HBO reality series, said Odom was found unconscious in a room where he had been staying since Saturday. In an interview with K-News 94.3 radio in Palm Springs, Hof said of Odom, “It doesn’t look good. It doesn’t look good at all. He was taking a lot of herbal Viagra supplements.” Hof told the station he did not see any evidence of cocaine use by Odom, and suspected it was the herbal supplements that caused the problem. Wehrly said sheriff’s detectives obtained a search warrant allowing them to collect a sample of Odom’s blood. That blood was drawn early Wednesday morning, but it has not yet been tested by the Las Vegas Metropolitan Police Department laboratory. The celebrity website TMZ.com, citing witnesses at the hospital, reported that Odom had cocaine and opiates in his system. Doctors have said the fluid found in Odom's lungs was the result of crack cocaine use, TMZ reported. Odom last played for the Lakers in 2011 and most recently played in the NBA in 2013 when he was a member of the Los Angeles Clippers. Odom, a father of two sons and a daughter, won the NBA’s Sixth Man of the Year award while with the Lakers in 2011. He was a member of the Lakers’ 2009 and 2010 championship teams. One of his sons died from Sudden Infant Death Syndrome in June 2006 at 6 months old. Odom appeared with Khloe Kardashian on “Keeping Up with the Kardashians” and in a spinoff series, “Khloe & Lamar,” in 2011 and 2012. 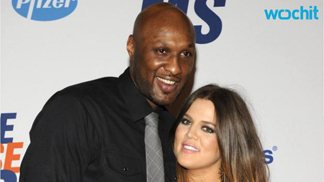 Although Odom and Khloe Kardashian are divorced, the couple have remained close. On her reality series, Kardashian has made repeated references to her continued affection for Odom and concerns over his past struggles with addiction. The couple were married for about four years. Various media outlets reported that although the couple signed divorce papers earlier this year, the paperwork has not yet been processed, meaning the couple are technically still married. Laker Kobe Bryant and the Rev. Jesse Jackson were among those visiting Odom at the hospital.